This stylish Leo Classic traditional ceramic basin with a chrome support stand is a traditional design from the last century and is still manufactured by the original designers. 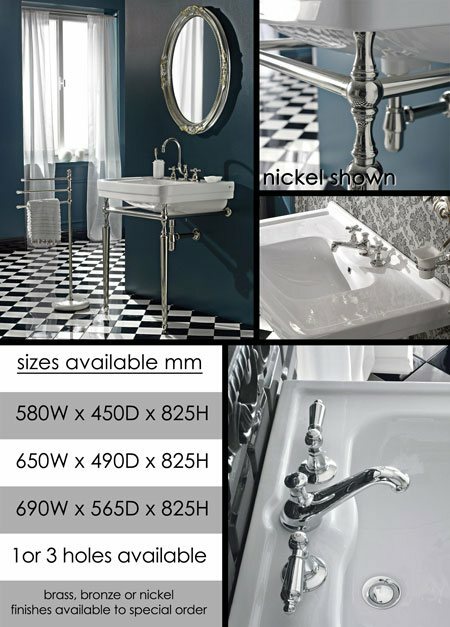 Polished nickel and brass versions available to special order. * Nickel & brass versions to order.